VIENNA: Iran continues to comply with the terms of its nuclear deal with world powers despite the US withdrawal, but could be faster and more proactive in allowing snap inspections, the U.N. atomic watchdog policing the accord said on Thursday. In its first such report since US President Donald Trump announced Washington’s pullout on May 8, the International Atomic Energy Agency said Iran remained within limits on the level to which it can enrich uranium, its stock of enriched uranium and other items. 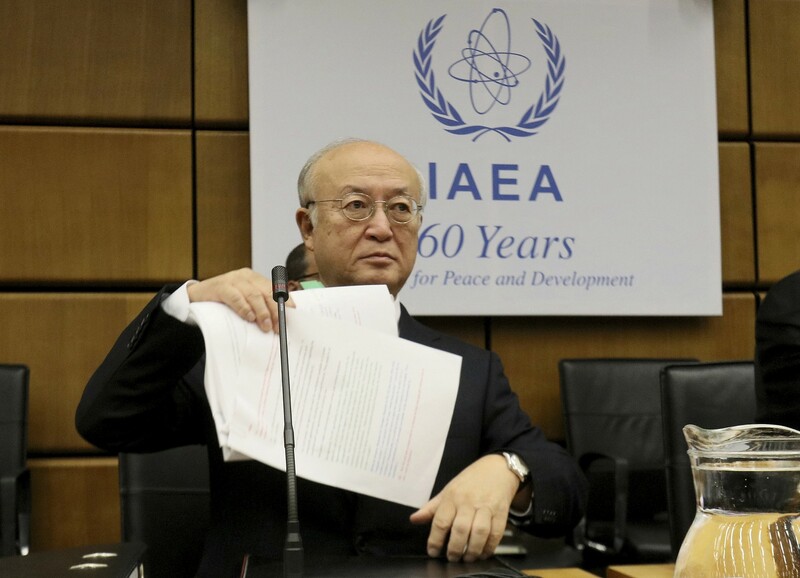 But the IAEA seemed to rebuke Iran for dragging its feet on so-called “complementary access” inspections under the agency’s Additional Protocol, which Iran is implementing under the deal. Such inspections are often carried out at short notice. “The Agency … has conducted complementary accesses under Iran complying with nuclear deal, but could do even better -IAEAthe Additional Protocol to all the sites and locations in Iran which it needed to visit,” the IAEA said in a confidential report that was sent to member states and obtained by Reuters. “Timely and proactive cooperation by Iran in providing such access would facilitate implementation of the Additional Protocol and enhance confidence,” it said. The report came with France, Britain and Germany scrambling to salvage the deal’s core bargain of sanctions relief in exchange for restrictions on Tehran’s atomic activities. Trump is reimposing US sanctions against Tehran, threatening to scupper the deal and prompt Iranian retaliation. The IAEA has repeatedly defended the deal, saying it created “the world’s most robust verification regime”. Diplomats who follow the agency said an inspection last month went down to the wire, but a senior diplomat also familiar with the IAEA’s work said on Thursday the report was not taking Iran to task. “There was no problem. It’s just an encouragement. The IAEA wants to make sure that there won’t be any problem,” he said, adding that there had been no change in Iranian behavior either over the first quarter of 2018 or since Trump’s announcement. Trump sees various “flaws” in the deal, including that many of its restrictions lapse over time and that it does not address Iran’s ballistic missile program or its role in regional conflicts like the wars in Syria and Yemen. Some Western companies like French oil giant Total have already said they may have to quit Iran because of the US move. Senior officials from the other countries that signed the deal – France, Britain, Germany, Russia, China and Iran – are meeting in Vienna on Friday to discuss next steps. At a meeting with the European Union’s foreign policy chief in Brussels last week, the French, British and German foreign ministers pledged to preserve the deal by trying to keep Iran’s oil and investment flowing, but acknowledged they would struggle to provide the guarantees Tehran seeks. Iran’s supreme leader set out a series of conditions on Wednesday for Iran to stay in the deal, including that European banks should safeguard trade with the Islamic Republic.